Everyone knows that regular exercise is good for the body. But exercise is also one of the most effective ways to improve your mental health. Regular exercise can have a profoundly positive impact on depression, anxiety, ADHD, and more. It also can relieve stress, improves memory, helps you sleep better, and boosts your overall mood. 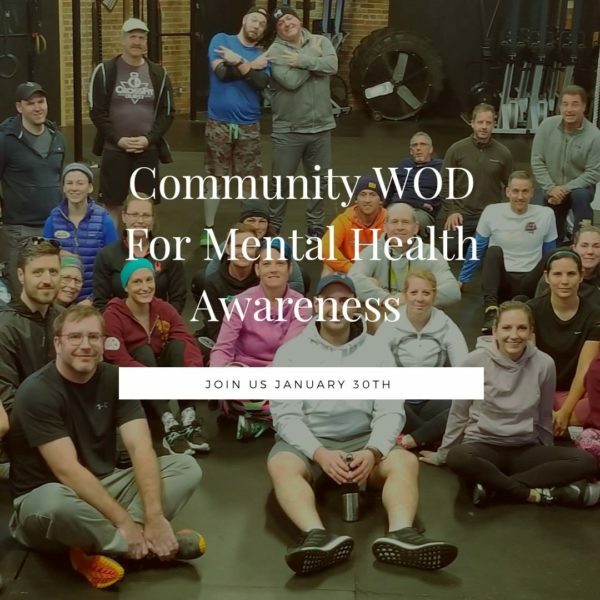 We hear this all the time from our members, that when they started at CrossFit Durst, they were going through a hard time and that CrossFit is now a huge part of their mental health regiment. With this in mind, we here at CrossFit Durst in Brantford are hosting a charitable day on January 30th where we are opening our doors to anyone in the community to come out and try a class. We will be taking donations to Canadian Mental Health Association, Brant Haldimand Norfolk Branch Our workout that day will have the option to do solo or grab a partner and share the workload. We believe that fitness is just as important to the mind as it is the body. Please join us on January 30th to take part, raise awareness and donations for Mental Health Awareness. Workouts are happening all day long and for all fitness levels. To register comment in the Facebook Event Page with the time you would like to attend and we will reach out to get you set up. Feel free to share this event and invite your friends to join you. Suggested donations are $5.00.